Nissan's new European marketing chief Philippe Saillard on the challenge of creating a future-fit brand while Brexit stalls the continent's new car market. Nissan’s rise from brand ridicule to respectability has been one of the most compelling stories in the automotive industry over the past decade. With the launch of its Qashqai compact crossover SUV model in 2007, and the subsequent roll-out of Juke in 2010, the Japanese manufacturer helped create a segment which would fire the growth of the industry in Europe for next few years. Qashqai is now the biggest-selling crossover in Europe, ahead of Volkswagen’s Tiguan, but a host of brands are clawing to steal Nissan’s crown with their own models combining sports utility features with passenger car convenience. 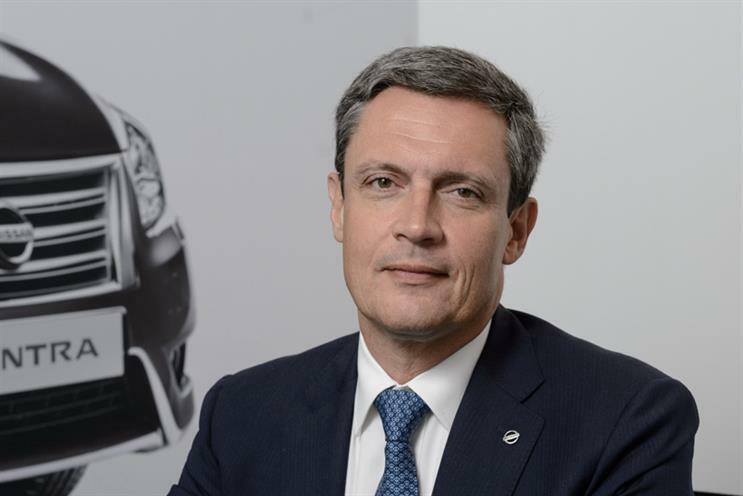 "We are not unique any more," Philippe Saillard, Nissan Europe’s senior vice president of sales and marketing since April last year, admits. This comes at a challenging time for the UK car industry, which in 2017 recorded its first decline in new vehicle registrations in six years. Even Nissan, which managed to increase its market share to nearly 6%, suffered a 0.9% year-on-year decline – albeit beating the industry-wide 5.65% decrease, according to SMMT figures. Could the lengthening shadows created by ongoing Brexit discussions be to blame for a dip in new car buyer numbers? Saillard thinks so. "Brexit is [creating] some economic context, which is modifying consumer behaviour, definitely. The market is not growing. At the end of their PCP [finance agreement], where consumers might have [returned to the new car market], they are not. It is a situation putting some question marks for the future," he says. The issue of Brexit is particularly pertinent to Nissan, which has centred much of its European manufacturing on its plant in England’s North East, and made a virtue of its "Made in Britain" credentials. Saillard – himself based at Nissan’s Europe HQ in Rolle, Switzerland – insists that the marque will "continue to invest" in its Sunderland operation, despite fears a post-Brexit hike in tariffs for car-makers exporting vehicles to the European Union. "Brexit did not happen last month, and we are always in close talks with the authorities to guarantee the future of these plants. Sunderland is one of the most strategic plants for Nissan globally," Saillard added. With new car sales wobbling, and Nissan’s leadership of the crossover SUV segment no longer assured, the brand hopes the next vehicle to roll off the production line at Sunderland will help to secure its long-term future. When it launched at the start of the decade, Leaf became Nissan’s first fully electric vehicle and one of the auto industry’s biggest forays into zero-emission car technology to date. Next month will mark the start of a major marketing push for the second-generation Leaf (pictured, above), with creative by TBWA and media by OMD. Details of the campaign have not yet been released, but it will certainly represent the first concerted push behind the brand's new "Nissan Intelligent Mobility" philosophy. The concept will focus Nissan’s business on three areas: "Intelligent Driving", such as its "ProPilot Assist" autonomous driving systems; "Intelligent Power", including new battery technology; and "Intelligent Integration", as exemplified by its promise to allow electric vehicle owners to power their cars through micro-generation, and even sell electricity back to the grid. "When we were first to launch a zero-emission vehicle, most did not believe in it, and we were mocked. As a result we are a little bit more advanced, both technologically and commercially," Saillard said. "Intelligent Mobility" will be used as an ongoing "umbrella" brand message across the entire range, beyond new technology models like Leaf and its e-NV200 van. Saillard insists the message is flexible enough to allow Nissan to both maintain its current sales, while positioning itself as a technology innovator. "Nissan is in a quite important phase of its development in Europe. I have a responsibility for the current day, but also for tomorrow. We have several targets, not just one target audience in the market. This is quite normal in automotive. What is important is consistency, whatever we communicate," he said. 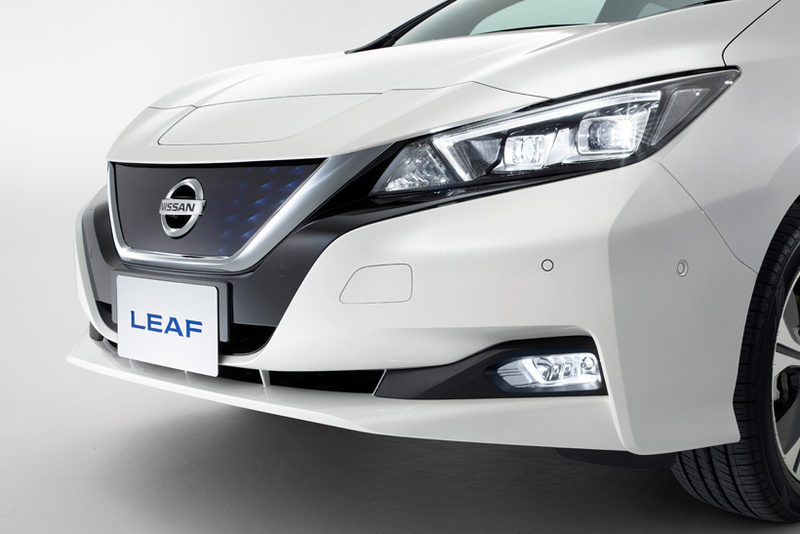 "The Leaf is the clearest 100% expression of what we are trying to communicate with ‘Intelligent Mobility’ - it is zero-emission, over 300-mile range, a real family car. The credibility of ‘Intelligent Mobility’ is one of our key challenges, not necessarily in vehicles sold, but in terms of brand storytelling. "The question is now is [making it a] marketing and brand success," he added.